A seriously wounded soldier wrestles with the trauma and guilt that haunt him in this novel. Sgt. Charley Cooper is a battle-hardened Marine whose life—and mind—is suddenly shattered by an IED while stationed in Afghanistan. He suffers from extraordinary burns—his body is considerably scarred from the incident, leaving him noticeably disfigured. Even worse, he’s afflicted by a debilitating amnesia, remembering very little of his wartime experiences (“He tried to see the face of his Company Commander, or Gunny Morrison but they would not materialize. He knew he should be able to see his platoon leader’s face, but the likable young, 2nd Lieutenant was gone”). This makes it nearly impossible to overcome the post-traumatic stress disorder that originates in horror he cannot confront. His wife, Annie, struggles to comfort him, but Charley withdraws into his own solipsistic paralysis, finding solace in lonely inactivity. But as the distance between them grows, and financial distress creeps in, Annie threatens to leave Charley if he can’t find a path to recovery. Charley calls his Uncle David, hoping to score some free firewood in advance of a cold Maine winter, and David comes to visit to help him log the territory. Eventually, David and Charley start a logging business together, and that purposeful labor and an experimental medical procedure help Charley chart the course back to both remembrance and self-forgiveness. Linden (The Content of Character, 2011, etc.) masterfully contrasts the defensive inwardness of both David and Charley; David has Asperger’s syndrome, and he, too, frequently retreats into the inner recesses of his mind to hide from life’s major and minor stresses. This dysfunction equips him, though, to deeply understand Charley’s tendencies, and he often remarks upon this with a bracing candor that many would not voice. 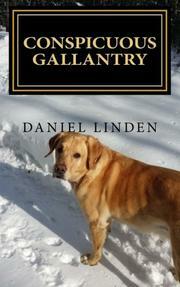 David confronts challenges of his own, and the book provides flashbacks to the time he spent logging the property with his Uncle Bjorn, which helps him to assist Charley. The author’s prose, spare and direct, potently conveys the emotional angst of men not naturally predisposed to introspection. While the subject matter lends itself to a cloying sentimentality or a neat and uplifting denouement, Linden exercises admirable restraint in avoiding both. This brief work poignantly expresses the havoc combat wreaks on even the hardiest warriors. A powerful, unflinching examination of the psychological wages of war.